Aberdeen Islamic Asset Management Sdn Bhd has recently launched two shariah unit trust funds for the Malaysian market, the Aberdeen Islamic Malaysia Equity fund and the Aberdeen Islamic World Equity fund. 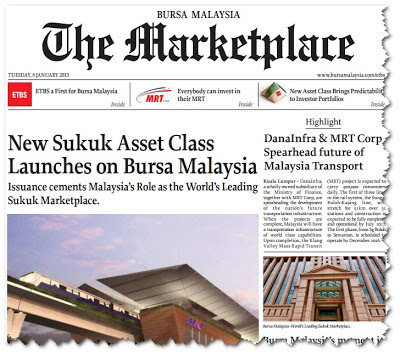 The new funds are the company's 1st shariah retail products in Malaysia - and the 1st from a foreign fund manager under the special scheme - and come almost 8 years its parent company Aberdeen Asset Management Sdn Bhd was established to manage assets in Malaysia for institutions and corporate investors. There is no better time to blog about this post. After the plunge of KLCI yesterday, citing election risk, we came across an interesting research report by CLSA. As such, we would like to take this opportunity to share with you. An unexpected opposition Pakatan Rakyat (PR) coalition victory in the impending 13th General Election (13GE) would spark a broad sell-off in Ringgit assets. Changes of government are not uncommon in ASEAN. Looking at the experience of Indonesia, Thailand and the Philippines over the last decade, parliamentary control has seen significant shifts and governance has been possible despite the lack of a parliamentary majority. However, Malaysia has never experienced a change in government, meaning any change will come as a shock and with a host of uncertainties. We believe 1H13 will be a choppy period and election concerns could drag down the FBM KLCI by 8% to 10% in the period before market rebounds in the 2H13. The impetus for revival will mainly hinge on the end of election overhang and strong domestic demand. Sustained monetary easing on the back of low inflationary pressure and attempts to reduce budget deficits by cutting subsidies and channeling the savings to productive ventures are positive despite the short-term impact on earnings. Overall, domestic economy will play an integral role in sustaining confidence in domestic equities next year in the absence of any overwhelming micro drivers. What's Wrong for an Economist to Predict the Upcoming Election? I am writing this post during midnight after I came across a report saying that Bank Islam chief economist suspended after predicting that opposition will win the upcoming election. 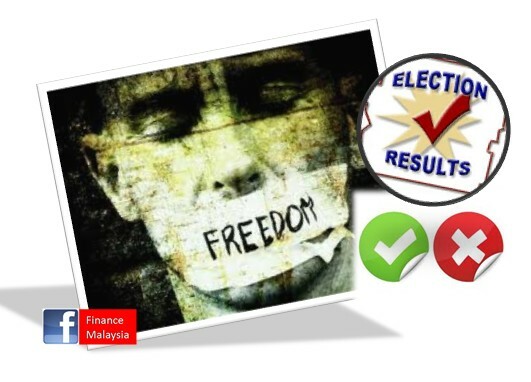 As usual, Finance Malaysia would NOT include political elements in its blog post. And, we would like to stress here again, that we are discussing this topic WITHOUT any political elements. Then, what are we talking here? I knew that I could not sleep if I didn't speak up for En. Azrul Anwar. We are not here to defend anyone, neither to offend any parties. But, we should open up our mind, and accept other opinions with open heart. In this matter, the said bank is losing its credibility and reputation by suspending one of its key staff --- just because of his prediction. Why can't he speak freely? Will the bank lose its banking license because of this? Does he answer the question wrongly? NO... It's a prediction only, there is no right or wrong here. In short, ETBS refers to Exchanged Traded Bond and Sukuk. Generally, bonds/sukuk have always been seen as an asset class to hedge when markets are bearish and a means to develop a steady income over many years. But in the past, these was only accessible to high net worth and institutional investors. 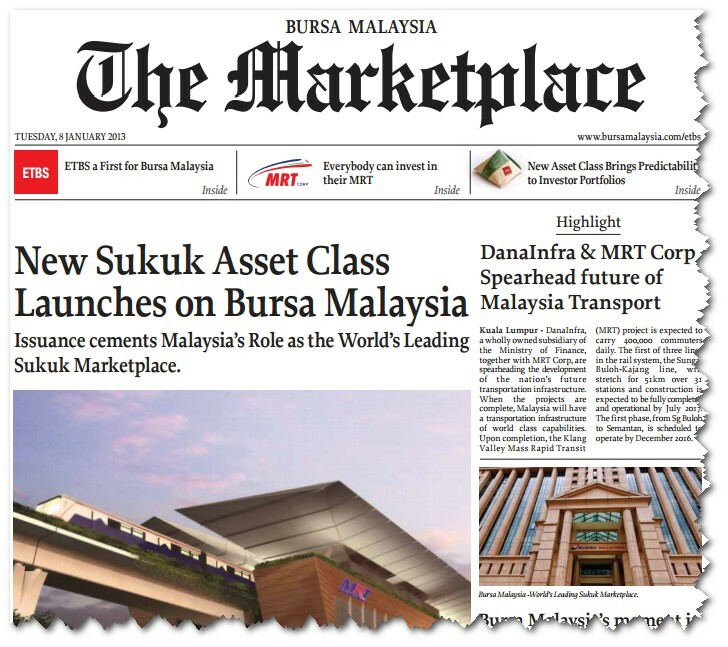 Now, with ETBS, all investors can have access to the bond/sukuk market with ease, via the stock market.